The 2015 Sheep horoscope predicts that this will be an excellently happy and ambitious year for people born under the sign of the goat. As this is the Year of the Green Wood Sheep, you will be successful in whatever endeavor you take up. Sheep, this is your year so make the most of the opportunities that come knocking on your door. The sheep can be timid, as the name implies, but rest assured, anything you get involved in, you are passionate about. 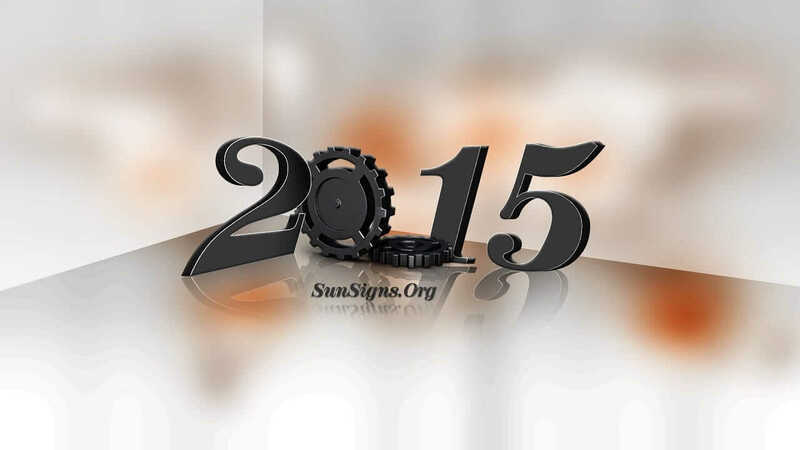 The year 2015 opens new, creative avenues for you. Your career takes an unexpected but welcomed turn. Be thrifty, as your bank account will see highs and lows in the coming year. Your health will improve with a scheduled maintenance plan. In the area of love, you’ve seen brighter days, but don’t give up, not all is lost. A test of friendships will come into play for this Chinese astrology sign. The unnerving dysfunction in your family seems to lessen in the late spring. 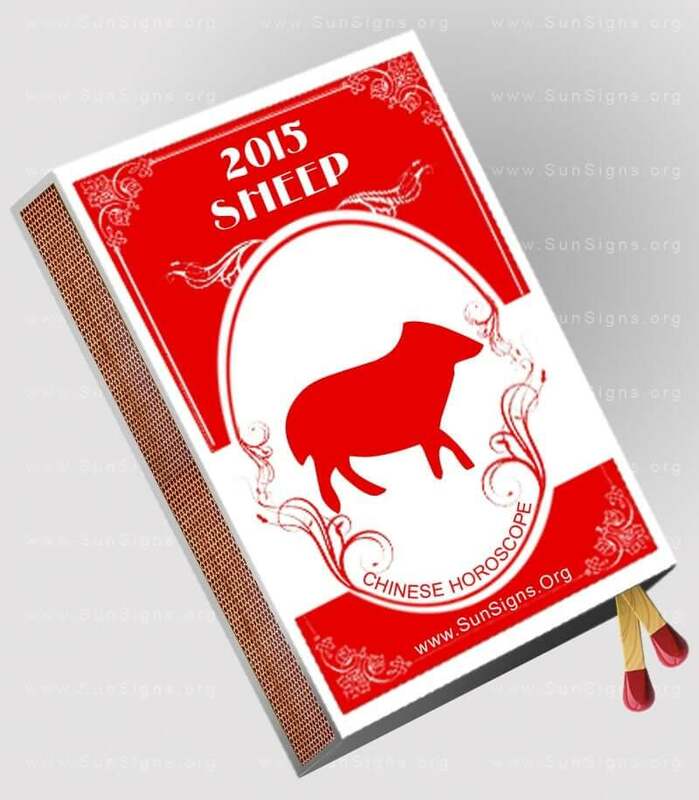 The 2015 Feng Shui yearly predictions for the sheep foretell that this is your year. So make the most of it. Do not let your stupid actions or ego come in the way of success. With the right attitude and temperament, there is no stopping the Ram. But the Goats have to careful not to let their success get to their head. If this happens, then whatever you have worked for till now will be screwed up. The 2015 Sheep horoscope predicts that you will be the dominating partner when it comes to love and relationships this year. There is a good chance for Sheep females to get pregnant in the Year of the Green Wood Goat. This is a very good year in terms of love, romance, family and friendships. So make the most of it. Maybe it is not that bad an idea to try something crazy! In the area of love, things have not always gone your way. Don’t fret. Patience and persistence are your friends. Late spring 2015 seems to smile on the Sheep, as you meet what could be the love of your life. If not by late spring, most definitely by early fall. Chinese zodiac compatibility predicts that the Sheep are most compatible with a Pig or Rabbit, never with an Ox. If you’re already in a relationship, schedule some quality time with your partner to keep the romance alive. A little attention goes a long way with your significant other. You have been questioning the loyalty of one or two of your friends. See if they are truly invested in the friendship by spending time together. If they aren’t interested and seem to be avoiding you or taking the friendship for granted, there is your answer. Break ties, cut your losses and move on. Ah, the crazy shenanigans of family gatherings…yes, we all have stories and one or two colorful relatives who seem more like Disney characters, but things actually start to tone down this year in your family. (Read the corresponding Cancer 2015 horoscope). Don’t get too excited and think everyone signed up for much needed therapy sessions. It’s just a temporary, but welcomed mellowness that will blanket the family for a while. Before you know it, the dysfunction will be at full volume again and back to normal. The Sheep horoscope 2015 forecasts that career and business will prosper. All the planets and stars in your birth chart are in your favor. So you have nothing to worry. But that also doesn’t mean you become lazy and start taking things for granted. The Goats will be under a lot of work pressure and stress in 2015. But be assured! Your hard work and efforts will be rewarded many times over. Salary hikes and promotions are definitely on the cards. For those born in the Year of the Sheep, 2015 is a good time to be open to new possibilities. Like it or not, they are headed your way. No more boring office jobs for you. The creative artist in you catches the eye of someone who can help open new doors. The Chinese horoscope 2015 foretells that what was once just a hobby will become a means of full time income. Set up a space solely devoted to this part of your life and be protective of it. Save your pennies when you can. As any artist knows, there can be lean times in the financial area. Don’t let this discourage you. Stay focused and continue to live your passion. If you manage your finances well now, then your future will be secured. The Goat 2015 horoscope predicts that your general health is usually not an issue, but you’ve been thinking of taking it up a notch. To do so, you will need to make some drastic changes in your diet, lifestyle and exercise routine. Invest in your mental health as well with yoga and meditation. To stay on track, avoid going to places of weakness. The Ram should share their plans with friends and family. This not only encourages them to cheer you on, but also holds you accountable. Hold fast to your plan in 2015 and you will reap the benefits in many ways, some of which will surprise you. If you see any health problems in the coming year, they will probably involve the foot and ankle area. You will also need to visit a dentist for some problems you have been neglecting. Be careful not get involved in sudden accidents, suggests the 2015 Chinese zodiac predictions for the Sheep. The 2015 Sheep horoscope predicts a promising and positive year. This is the 8th sign in the Chinese zodiac and the number 8 is considered to be very lucky. So if you make the right choices, there is nothing that can stop you from reaching your goals. But that also means you build on whatever you have worked for instead of beginning something new from scratch.